Pierre Jaboyedoff has more than 30 years of experience in energy-efficient buildings and solar energy applications. He is a partner in Effin’Art Sarl and is an expert in the development and application of high-performance, innovative, and climate-responsive solutions ranges from industry to data centres. Pierre was instrumental in the establishment of the Rolex Learning Centre, one of Europe’s lowest energy consuming buildings. Pierre has also worked extensively in India, to implement projects related to energy efficiency and renewable energies in various economic sectors since the early 1980s. Majority of the residential buildings in India are not air-conditioned and rely on natural ventilation. Due to population pressure and high land cost, most of the new housing construction in urban areas, is in the form of multi-storey apartment buildings, located close to each other. The natural ventilation (particularly the cross-ventilation) inside these buildings is greatly influenced by the access to wind (air velocity and pressure) on the façade of these buildings. Thus, proper massing of residential buildings, that ensures good access to wind on the facades is important for cross-ventilation to work. 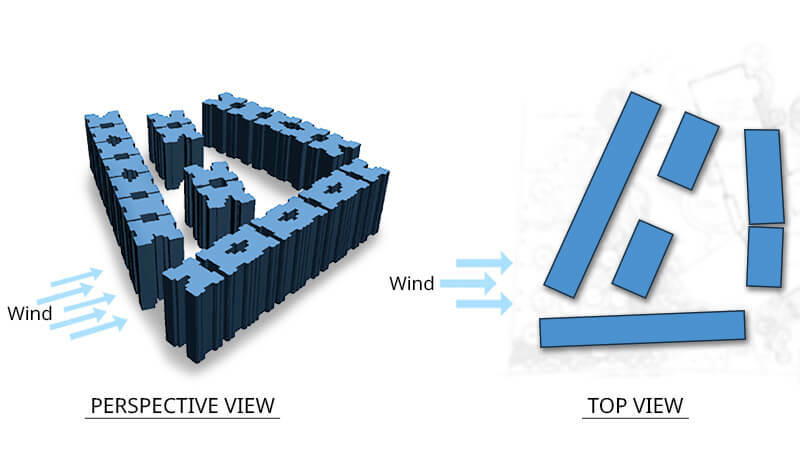 It is possible to simulate the air flow around a building using Computational Fluid Dynamics (CFD) software, which can help the building designer in assessing natural ventilation potential. However, commercial CFD software are expensive. BEEP aims at developing a freely available (open-source) CFD software for simulating air flow around buildings. This blog reports initial work done under this initiative. The Swiss PMTU (EffinArt) has initiated a collaboration with the University of Applied Science of Sion (HES-SO Valais, Dr. Jean Decaix) to develop a freeware CFD with a dedicated interface for the analysis of the building massing alternatives in large multi-storeys project. 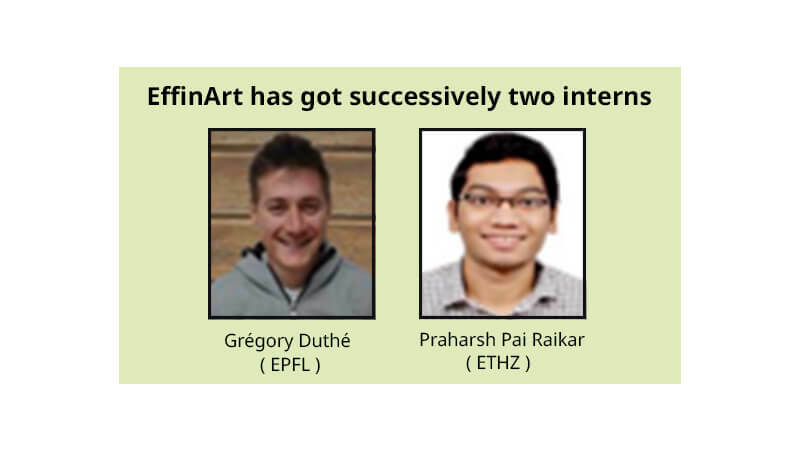 Beside this collaboration, EffinArt has got successively two interns (final master year students of ETHZ Praharsh Pai Raikar , and EPFL, Grégory Duthé, with CFD background). These two internships have been directed to get first useful new knowledge gains for the student and at the same time to get some useful results for BEEP. The two interns contributed in exploring and checking the feasibility of the development of an easy to use CFD freeware for natural ventilation which could be eventually distributed to a large audience for residential large projects. Both the interns also interacted with Dr. Jean Decaix, from HES-SO, Sion. We present here few of results of their work as interns. 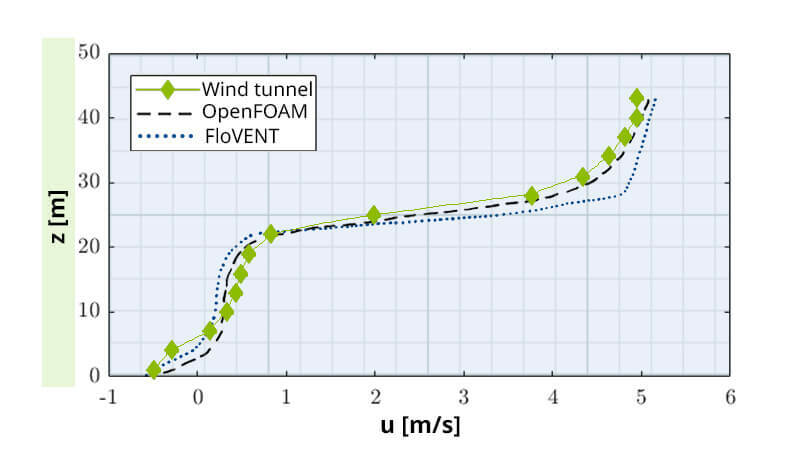 The interns worked on comparing the simulation results using a free software (OpenFOAM) which BEEP plans to use for the development of the freeware, with the experimental results from a wind tunnel and a commercial CFD (Flovent) software. 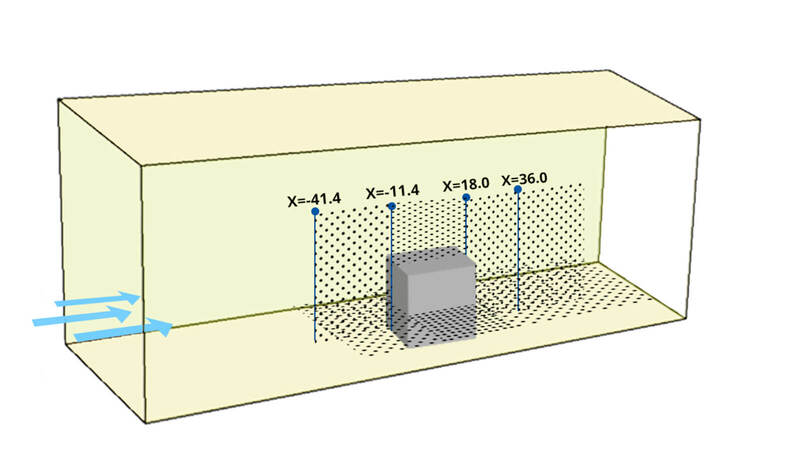 Figure 1 shows the arrangement for the wind tunnel test. It shows a 25 m tall building located in the wind flow. 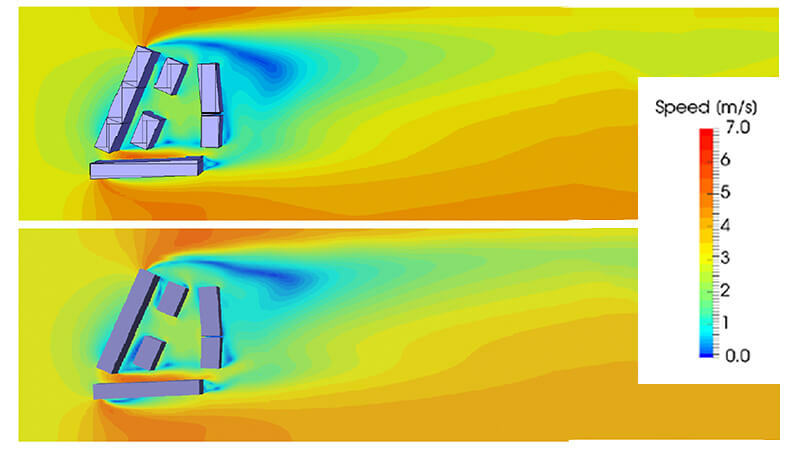 Figure 2 shows the results of the wind tunnel tests and the results from simulation using the two software. The results are shown in terms of wind velocity at a plane located on the front façade of the building (façade facing the wind flow) and the building height. One can see that there is a good agreement between measured velocities and simulation by the two CFD. A further comparison between the commercial and free CFD is shown above. One can see that the velocities are in good agreement for a first comparison. As mentioned earlier, through a collaboration with the University of Applied Sciences (Dr. Jean Decaix, HES-SO Sion) BEEP intends to develop a methodology and a tool to be available by 2020 end as a freely distributable software allowing a large audience of non CFD specialists to compute wind and pressure distribution on facades of building allowing to assess the natural ventilation potential with a much better accuracy than practiced today.